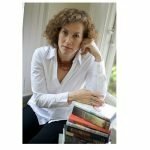 Join us for an inspiring afternoon of books and conversation with an author! A closing wine & cheese reception with the author where you get to place your own nominations for Visionary Women! In this era where women are stepping into new roles, it’s inspiring to look back upon some groundbreaking women in recent history in our country. Andrea Barnet does just this in her book Visionary Women, How Rachel Carson, Jane Jacobs, Jane Goodall, and Alice Waters Changed Our World. Barnet’s book tells the story of four visionaries who profoundly shaped the world we live in today. Together, these women—linked not by friendship or field, but by their choice to break with convention—showed what one person speaking truth to power can do. Alice Waters urged us to reconsider what and how we eat. 4:00pm – 5:00pm: Book Signing & Wine & Cheese with the author. Bring your own suggestions for today’s Visionary Women. We’ll discuss this together, and the author will share some stories that didn’t make it into the book! 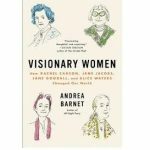 Born in Boston and educated at the University of Pennsylvania and Harvard, Andrea Barnet is the author of Visionary Women: How Rachel Carson, Jane Jacobs, Jane Goodall and Alice Waters Changed Our World, a finalist for the 2019 PEN/ Bograd Weld Award for Biography and one of Booklist’s four “2018 Editors’ choice for biography” selections. Her previous book, All-Night Party: The Women of Bohemian Greenwich Village and Harlem, 1913-1930 was a nonfiction finalist for the 2004 Lambda Literary Awards. 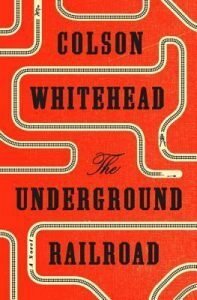 She was a regular contributor to the New York Times Book Review for twenty-five years, where she wrote primary on the arts and culture, with a special concentration on early twentieth century literary figures. 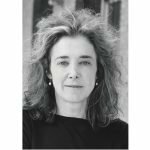 Her journalism has appeared in Smithsonian Magazine, the New York Times, Elle, Harpers Bazaarand The Toronto Globe and Mail, among other publications. She splits her time between the Hudson Valley and New York City, where she lives with her husband. Includes presentations, happy hour, and a copy of Andrea Barnet’s book Visionary Women.